Some teachers find that projects fizzle out following field trips. However, three strategies can support children’s continued interest in the project: (1) specific explanation and discussion about high-interest tools and procedures observed at the site of the field trip, (2) modeling representational play using those high-interest tools and procedures, and (3) the addition of realistic props. During her lunch break, Miss Lori shares her disappointment about the untimely conclusion of the hardware store project with her colleague, Connie. Connie encourages Lori not to give up on the project and advises her to identify a high-interest aspect of the project to develop in the dramatic play area. Following a field trip during project work, the teacher typically meets with the children in small or large groups to discuss what they noticed while they were at the site. As the teacher records this information for the children in a list or web format, she is likely to notice that many of the children share an interest in an aspect of the site they visited. For example, they might be interested in a job someone was doing (such as cashier), a procedure (such as paying for purchases), or a routine (such as helping customers “check out”) that they observed while they were there. After identifying what interested the children during the trip, the teacher can plan to help them expand their knowledge about this topic. After reflecting on the web of “Things We Saw at the Hardware Store” that the children had dictated following the trip, Miss Lori decides to develop the checkout counter, based on the children’s comments and questions. 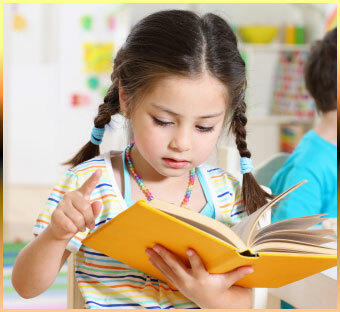 Having identified a high-interest job, procedure, or routine, the teacher might read the class a book that provides further information about it, using the book to spark a discussion. At circle time, Miss Lori asks the children what they remember about the checkout counter at the hardware store. She reads them Frankie Works the Night Shift, a story about a cat who spends the night in a hardware store. She points out illustrations that show the checkout counter and items that might be for sale at a hardware store. Miss Lori then asks if any of the children would like to play “checkout” with her at choice time. 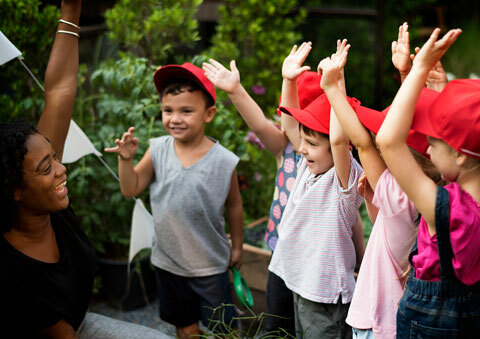 The teacher might then join a group of children in the dramatic play area, providing in-depth explanations as she role-plays or models behaviors that can help the children develop expertise about the topic. 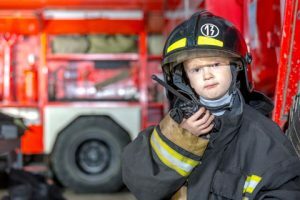 The addition of props related to the job, procedure, or routine, in combination with their newfound expertise, is likely to engage children in representational play, especially if multiple children can use the props simultaneously. At the beginning of choice time, Ms. Lori joins several children in the housekeeping area. (Before the children arrived in the morning, Ms. Lori added two small carpenter’s aprons, a desk to use as a checkout counter, a cash register, cash register tape, a receipt pad, and plastic and paper bags to the dramatic play area.) She then demonstrates the roles of the clerk, the cashier, the customer, and the sacker, explaining each role as she pretends. For example, she tells LaShorage, “I am the person who operates the register and tells you how much you have to pay. I take your money and give you some money back that we call change. I am called the cashier.” By the end of choice time, representational play about the hardware store is in full swing. LaShorage is the cashier, Bernie is the clerk, and Pete is sacking up unit blocks, which the children are pretending are boxes of nails. Ms. Lori is delighted that the project is taking off!